Morocco's strategic location as a geographical and cultural bridge between Africa and Europe made it a major trade hub in the region. The political and historical relations with the countries of the region made of the Kingdom a strong economic partner with these continents. For many decades, Morocco has adopted a policy of economic and financial openness aiming to integrate of the Moroccan economy into the global one, and to contribute to the consolidation of a multilateral trading system. Over the last decade and with particular focus in the past few years, Morocco has reformed its economy to enhance productivity and strengthen resilience to external shocks. Key reforms have included restoring macro-economic balance and cutting subsidies. 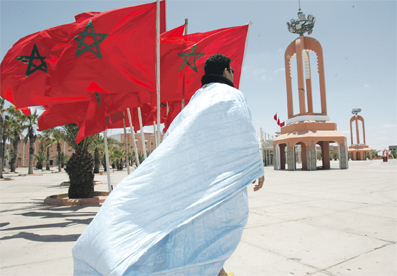 This vision has been translated into a deepening of competitive modernization reforms, a consolidation of partnerships with key players of the globalized system, and the progressive diversification of partnerships with emerging and developing countries within the framework of the South-South dimension of Morocco's foreign policy. 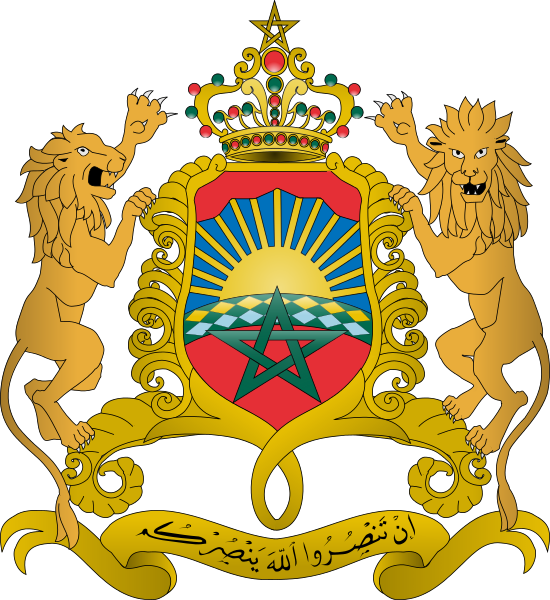 As the foundation stone of its system of alliances and partnerships, the Kingdom's regional foothold had a turning point with the return of Morocco to its African institutional family " African Union", which would enable it to play a more structuring role in favor of the development of the continent, based on the win-win cooperation schemes. The growth rate of the Moroccan economy reached an average of 5.1% during the last decade, following the increased growth of the primary sector (4.3%), the stable growth of the non-agricultural sector (4.9%) and the average growth of 5.2% as average in the service sector, mainly because of the increased contribution from telecommunications (13%), and services aimed at companies (6.8%), and linked to the openness policy and the development of the off shoring. At a sectoral level, agriculture represents between 12% and 17% of GDP (depending on the year), and employs 45% of the total workforce. The secondary sector, accounts for 30% of GDP, and focuses on mining and phosphate processing (Morocco has the world’s largest phosphate deposits at 75 % of world reserves), textiles and food processing. The sector of services accounts for 38% of GDP, 8% of which dedicated to tourism. At the domestic level, Morocco has made of human development a national priority. Thanks to this approach the GDP per person has increased by 70% in real terms, since 2000. Diversifying the economy is a government priority as set out in the 2014-2020 Industrial Acceleration Strategy which promotes the creation of “industrial clusters” in key industries, including mining, renewable energy, automotive, aerospace, cabling, textiles and pharmaceuticals. This strategy is expected to generate half a million jobs and increase the share of industry in GDP by 9%, from the current 14% to 23% of GDP. The Advanced Regionalization implemented in 2015, is, also, intended to increase the participation of the citizens in the political life. The Regions have now independent structures with a broad autonomy and attributions. The advanced regionalization system implemented by Morocco gives these regions wide attributions in order to define and apply the State supported policies that they set autonomously. The benefits of this rapid expansion are all fairly divided on all the regions of Morocco. For example, the regions of the Sahara achieved the largest annual growth rate between 1998 and 2012. The local entrepreneurs of the Sahara region have been participating in the exploitation of its natural resources and they have developed their financial capacities and their know-how in order to broaden the field of their activities at the national and international levels. The local population plays also a prominent role in the policy making process inherent to the management and exploitation of natural resources. She exercises this right at the national level, through the parliamentary representatives, and at the local level, through local officials, Union Representatives and professional corporations. 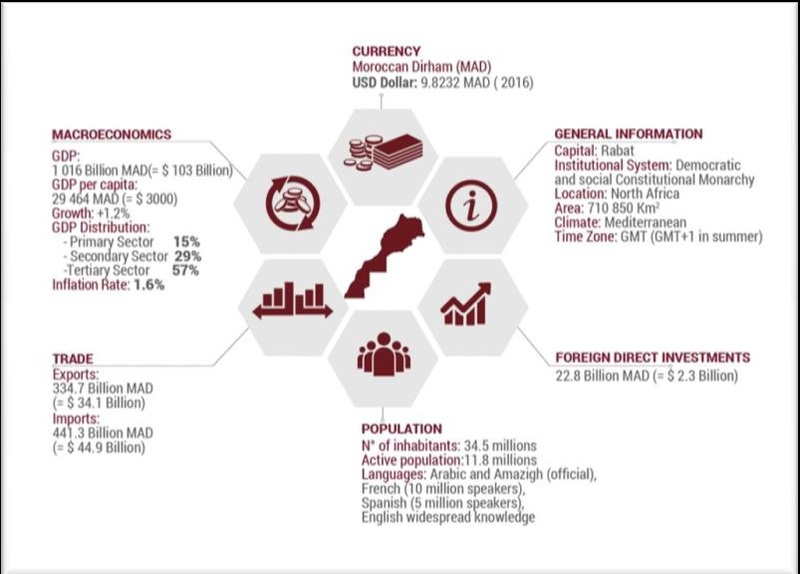 The Dakhla, Oued Dahab and Laayoune Al-Saqiah Al Hamra regions, benefited, in 2015, from a significant increase in the volume of public investments in the framework of an ambitious program of sustainable development, launched by the King Mohammed VI in November 2015, aiming to make of this region a major economic and logistic hub towards Africa. For this program, a huge investments estimated at 8 billion dollars have been allocated. 134 projects of this program have been effectively implemented in 2016 in the sectors of infrastructures, energy, fisheries, health and education. The construction and extension of the airports of the Sahara region were all carried out. Heavy investments have been made by the Kingdom of Morocco to strengthen the road network in the region. The Tiznit-Laayoune-Dakhla expressway project aims to provide the Southern Provinces with a roadway of international standards which spreads over nearly 1,055 km.